Strange things happen in a court of law, and even stranger things in a Court of Appeal. In a recent article in The Spectator, ('Who will judge the judges?’ (10 July 2010)) Peter Jones has complained of the failure of judges to explain judgments which seem to go against the public interest and of the role of the law to uphold it. Some judges, he says, defend this reluctance by claiming that some legal decisions are too delicate and difficult to be discussed in a public court. He complains of the judges as looking like an oligarchic elite accountable only to themselves. If there is, as Jones argues, a democratic deficit in the courts, there is certainly such a deficit in the Courts of Appeal, or at least so it appears from press reports of a recent case. English Law has an honourable tradition of respecting the dictates of an individual’s conscience in matters of religion (or of no religion), diet, dress, issues of life and death, and the like. So that a nurse with strong views on the immorality of abortion may not be forced to assist in the performance of an abortion. A pacifist may not be required to bear arms and fight for his country. An orthodox Jew may not be forced to eat pork, or a Muslim prevented from attending Friday prayers. A Sikh busdriver is permitted to wear his turban, a Seventh-Day Adventist may not be required to work on a Saturday. People who hold nonconformist views may or may not hold them as part of their religious convictions; but irrespective of that, the law maintains that they are entitled to hold and express them. And in granting them relief in accordance with the dictates of their conscience, it would appear to be an absurdity to suppose that the law was conniving at the attempts of such people to take the nation down the road to autocracy, or worse, to theocracy. If anything, the law seems to have adopted the very opposite view, that granting such people relief, though it may cause inconveniences of various kinds to their respective employers or associates, and (in the case of conscientious objection to bearing arms) even marginally weaken the military effort against an enemy, such relief is an expression of a liberal political culture, not that of an autocratic tendency. The public expression of a plurality of views, and the support of a culture whose citizens have differently attuned consciences, has generally been regarded as a basic safeguard against that very political authoritarianism – what J.S. 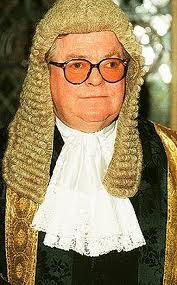 Mill called the ‘tyranny of the majority’ - that Lord Justice Laws seems to fear. Mr McFarlane, a Pentecostal Christian, was not demanding to have his beliefs enforced by his employer, but requesting relief for his own conscience. The case was not that his former employer was not Christian and ought to be, but that he, as an individual Christian, should be able, in accordance with his conscience, to refrain from certain duties. So the Judge’s reasons (as reported) for dismissing the application to Appeal, besides being couched more in the language of a Hyde Park Corner barracker than a judge in a court of law, appear to be beside the point. They were also extraordinary, particularly the remark that if Mr McFarlane’s appeal was upheld ‘our constitution would be on the way to a theocracy’. Why is upholding a person’s liberty of conscience in the least theocratic in its tendency? By what steps of reasoning is allowing a Pentecostal Christian liberty of conscience putting our liberal democracy in peril? Is the implication that were he to be granted freedom not to do what was against his conscience he would be, or become, autocratic, seeking to rule his employer, and before long, to rule the country in the name of God? Even cases of passive disobedience on an issue seem scarcely able to connect with a project to theocratise the nation, much less a case such as Mr McFarlane’s. He was not claiming the benefit of some charisma, to have heard the voice of God, or to be directly ruled by him in some way, but (as the result of a variety of influences, no doubt) he has had his conscience sensitised on the matter of ‘gay’ relationships. Or perhaps, his conscience has remained sensitised notwithstanding recent changes in the law. There is, after all, a time-honoured distinction between matters of morality and matters of law. His action was essentially personal and passive in character, a desire to withdrawl from the undertaking of certain duties. Nor was he even concerned with a matter that is unique to his understanding of Christianity, as his opinions would be shared by many Muslims, for example. Is there any evidence that he was seeking to rule others, or even to impose his beliefs upon others? There is no more evidence for this than there is for the idea that Mr McFarlane was being frivolous in his appeal to his conscience. Or so it seems. Mr McFarlane’s case seems prima facie to be a case based upon the rights of the individual conscience. It is, of course, but a short step from the dismissal of a sincere Christian from employment to a religious bar to any employment by Christians. I believe that further judicial decisions are likely to end up at this point and this is why I believe it is necessary to intervene now. This certainly reads like a piece of special pleading for Christians. But in his apparent eagerness to rebut Lord Carey, Lord Justice Laws ought not to have allowed himself to be distracted from the main point, the point about conscience. He should have borne in mind the advantage of explaining to us why his judgment seemed to be so extreme, but was in fact otherwise. Lord Justice Laws’ other remarks about it not being a function of the law to protect a position held purely on religious grounds since it would be ‘irrational…..divisive, capricious and arbitrary’ also appear to be beside the point, or at the very least to stand in need of some explanation. It is precisely one of the benefits of freedom of speech and of conscience that it allows debate over whether views held by one’s fellow citizens are or are not irrational, or merely subjective, or rational and an objective fact of the matter. One might ask, Who is the judge to settle such debates in advance? Perhaps he believes that he has good legal reason to do so, but if so he appears to have kept this reason to himself. Maybe there was more to this case than reached the press: a tricky point in law, some crucial evidence that the reporters missed. Maybe Judge Laws believed that his hands were tied by the recent Labele Case, in which a Christian Registrar lost her Appeal against dismissal for refusing to act as Registrar in the civil marriage of a homosexual couple. It seems that as the law is now interpreted, provided that Christians keep their beliefs to themselves and their co-religionists they may live within the law, but if their beliefs have consequences for how they work, they are now being routinely denied such freedom. Anything not done only in a Christian church, but expressed in action in the public square, is now regarded as being a direct political challenge, and subversive of the state. The absurdity of this reasoning is apparent. Judges are going to have to give some attention to the nature of Christian religious belief. Otherwise they might have to get used to being accused of 'Christophobia'. In his remarks to the Court, giving grounds for his refusal to grant the right to appeal, the Judge certainly appears to have missed a golden opportunity. Other than reprimanding Lord Carey, he could have taken the time to tell us why an appeal to the sanctity of the individual conscience was, in this case, of no avail, a matter not even to be taken seriously. So far as what he said was publicly reported, there was not a word from the Judge about why this particular case was to be treated not as a case of individual conscience, but as an action with potentially subversive consequences.